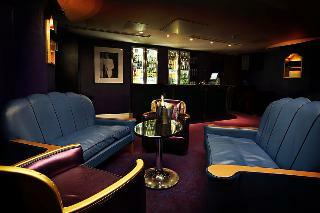 Luxury 5 star hotel in the heart of central London, right in the Piccadilly Square area. Café Royal hotel is perfectly positioned within walking distance of London's finest shopping streets. This iconic London landmark now features 160 contemporary bedrooms and luxurious suites. All guestrooms and suites feature contemporary and thoughtful touches; luxurious Frette bed linen, a fully stocked Butler's Pantry and Bang and Olufsen media systems. Every bathroom includes a mirror TV screen, `over-sized' towels and dressing gowns, heated floors and British bathroom amenities from Floris. 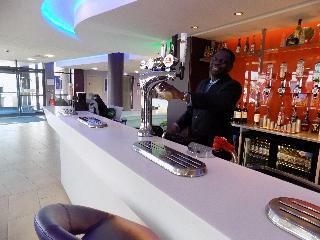 Continuing its celebrated legacy, Café Royal hotel offers a selection of restaurants and bars for guests to enjoy. At the heart of the hotel, the Ten Room offers British informal all-day dining while The Bar is the perfect place to relax and unwind with a cocktail. Restored to revive the ornate Louis XVI décor and detailing, the iconic Grill Room (originally established in 1865), is now the place to enjoy Champagne, cocktails and a light menu of British dishes. To complete the full experience, the Akasha Holistic Wellbeing Centre is an urban retreat spanning over 1,200sqm/13,000sqf. This elegant hotel enjoys a delightful setting at the heart of London, lying between Piccadilly Circus and Leicester Square. The hotel is situated within easy access of a host of attractions in the city, as well as delightful shopping, entertainment and dining venues. Convenient links to the public transport network are available nearby. This charming hotel dates back to the early 20th century, welcoming guests into the elegant surroundings of the lobby. The guest rooms offer a haven of peace and serenity, in which to completely relax and unwind at the end of the day. 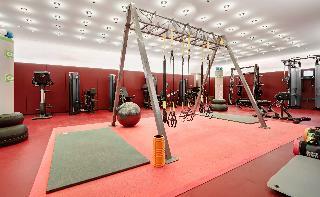 The rooms are well equipped with modern amenities, for the utmost in comfort and convenience. 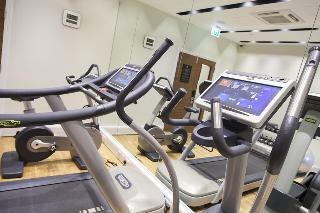 The hotel features a wide range of excellent facilities, ensuring a truly enjoyable stay. 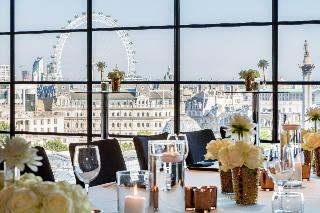 Sofitel London St James offers five-star accommodation in the heart of London's West End. This landmark hotel - consistently rated as one of the best in London - combines traditional British design with contemporary style that is unmistakably French. 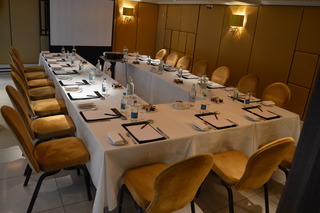 Loca ted in a grade II listed building, the hotel features a restaurant, The Balcon, The Rose Lounge, the St James Bar, a large choice of conference suites and an award-winning spa. 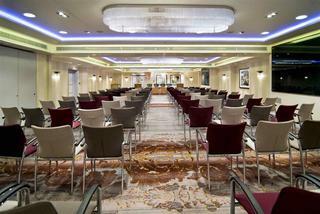 Sofitel London St James is an entirely smoke-free hotel. Mirroring the 1920s glamour of its theatrical surroundings, Hotel Indigo London – 1 Leicester Square draws you in to an art deco, glass-and-marble haven. Our bespoke rooms have walls adorned by framed scripts, gently spot lit with stage lights hanging from rigging. Let life stand still in our spa bathrooms and you'll sleep soundly behind plush velvet, stage-inspired curtains. Reconnect with the world in an instant, thanks to superfast WiFi. At night, sip cocktails in our Rooftop Bar, overlooking a skyline of neon-dusted Theatreland lights. Step out into Leicester Square from our boutique hotel and you're in the domain of red-carpet premieres at world-famous cinemas. Chose a big-name show in a glittering West End theatre or dine in one of London's best restaurants. This comfortable hotel provides you a large variety of rooms with all the facilities that you may require to enjoy a pleasant. 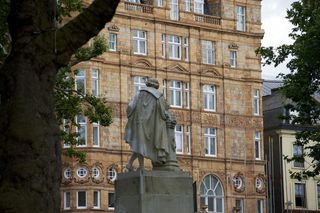 This attractive hotel is located on a quiet street just off the lively Leicester Square, next to the National Portrait Gallery. Situated in the middle of the West End and the famous Theatreland area, the hotel is only a 2-minute stroll to the famous Chinatown, 10 minutes to Covent Garden and just a 5-minute walk to Piccadilly Circus. The perfect base to explore London, less than 10 minutes from Charing Cross train station, Leicester Square and Piccadilly Tube stops, enabling guests to easily access all that London has to offer. 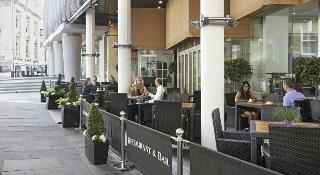 The hotel also houses the Squares Restaurant, serving modern British and European cuisine using the best seasonal produce, with al fresco dining available on the terrace when the sun shines. Along with the restaurant, the Gravity Bar serves a wide range of drinks and snacks and is the perfect place to enjoy a pre-theatre drink or relax and enjoy an afternoon tea in the adjacent lounge. A brand new opening - Victory House, London Leicester Square - MGallery by Sofitel, an 86 bedroom hotel set within the beautiful Victory House , a heritage site overlooking Leicester Square. Located amidst London's leading theatres, designer boutiques and top restaurants, the upscale boutique hotel promises to provide Memorable Moments whilst you enjoy your stay in Englands Capital City.